It’s that time of year again! 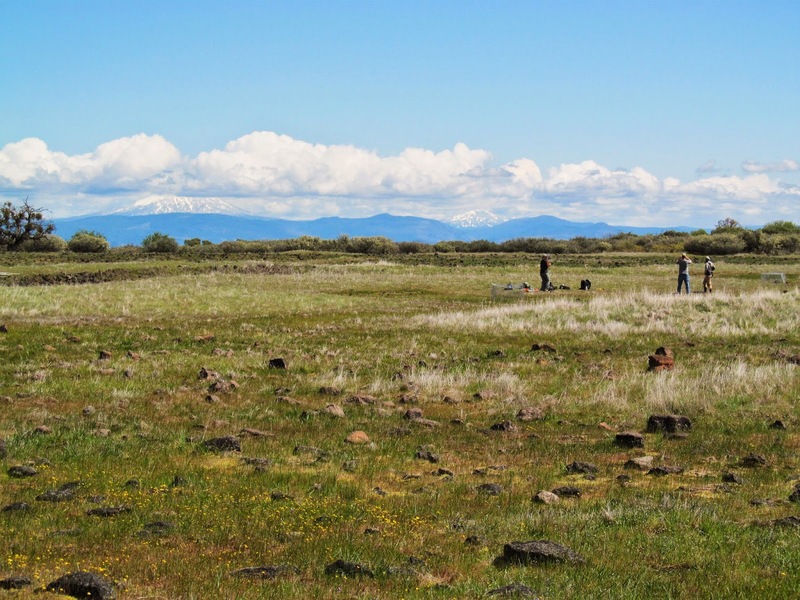 Field season has kicked off for the Conservation Research program at the Institute for Applied Ecology (IAE). 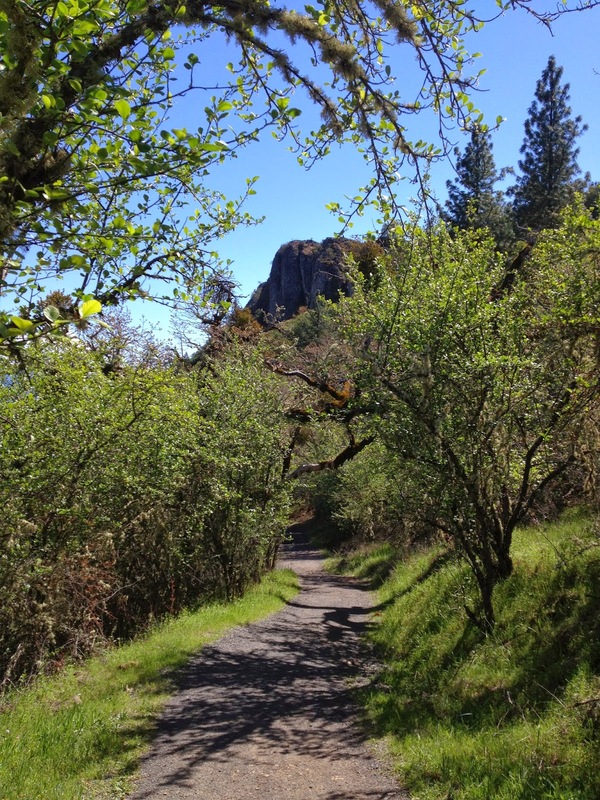 This year, our season began at Lower Table Rocks located in southern Oregon near Medford. Warm temperatures, bright blue skies and a plethora of wildflowers welcomed us on all three days. 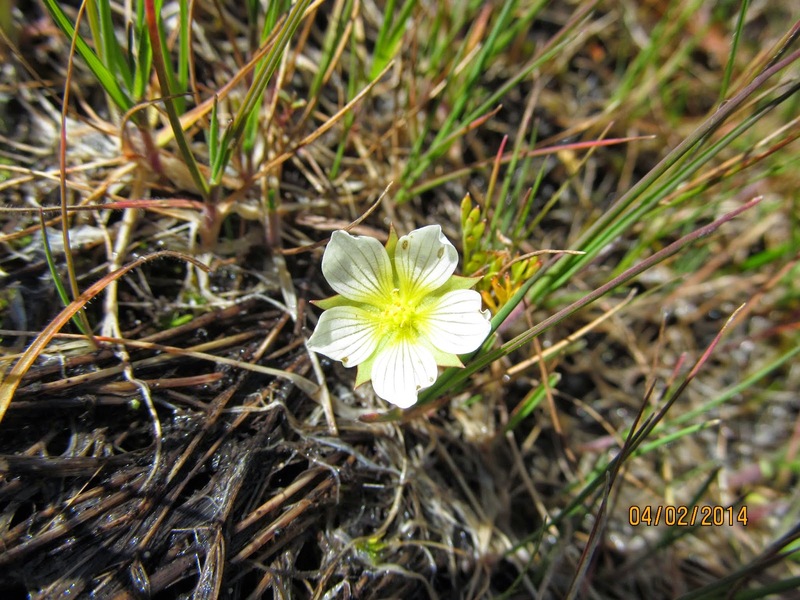 Since 2006, IAE in partnership with the Medford District BLM has been monitoring the population trends and effects of grazing and recreation on the State Threatened, Federal Species of Concern, Limnanthes pumila ssp. pumila (dwarf wooly meadowfoam). Permanent plots were distributed in high-and low-traffic areas and in caged and non-caged pairs to study the population trend of Limnanthes pumila ssp. pumila and to determine the factor, if any, which may be affecting the population. Recently in 2013, five transects were added to Lower Table Rocks to monitor the effects of an emergency fire retardant drop that occurred in July 2010 on plant communities. 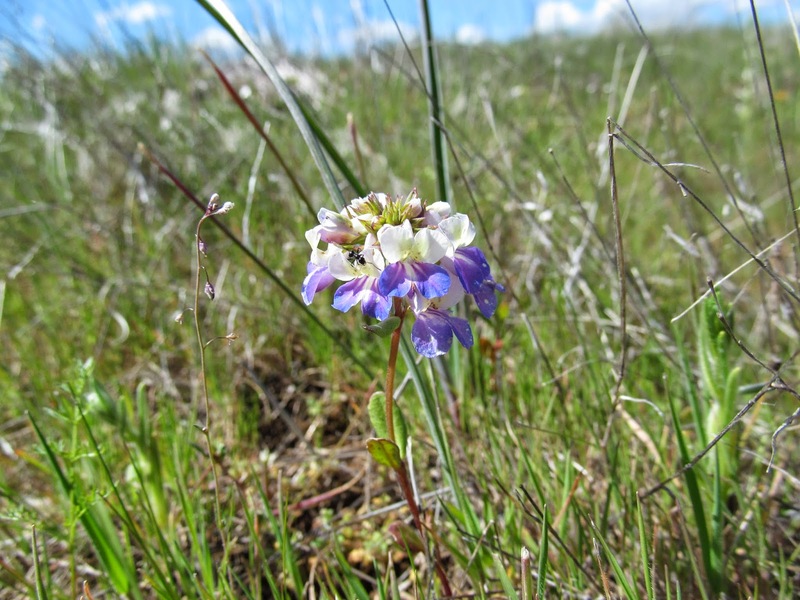 Additionally, a short wildflower list has been compiled (attached below) and details the species seen on and around Lower Table Rocks (3/31/14-4/2/14). *Native and exotic species were classified according to the Flowers of Table Rocks published in 2007 written by Susan K. MacKinnon.